grow your brand on social media. Schedule unlimited messages across your social networks (Facebook & Twitter) from one place, for any time in the future. Share your content at the best possible times throughout the day so that your followers and fans see your updates more often. Getting the most out of each post. Create high impact image posts with zero Photoshop experience and schedule it all in advance with over 60 templates and over 1 Million stock photographs all within a visual composer. Produce images with the perfect size and format for Twitter and Facebook. Typography, font sizes and formatting options make everyone a designer! 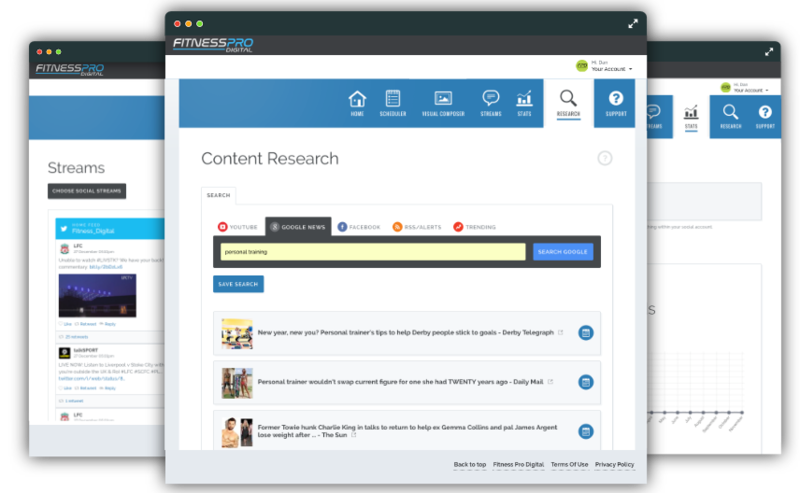 Features a unique RSS newsfeed reader that dramatically reduces the research time required to find authoritative content to populate Twitter and Facebook pages. The newsfeed reader allows you to quickly scan through news stories, select the most relevant and quickly schedule them for posting. 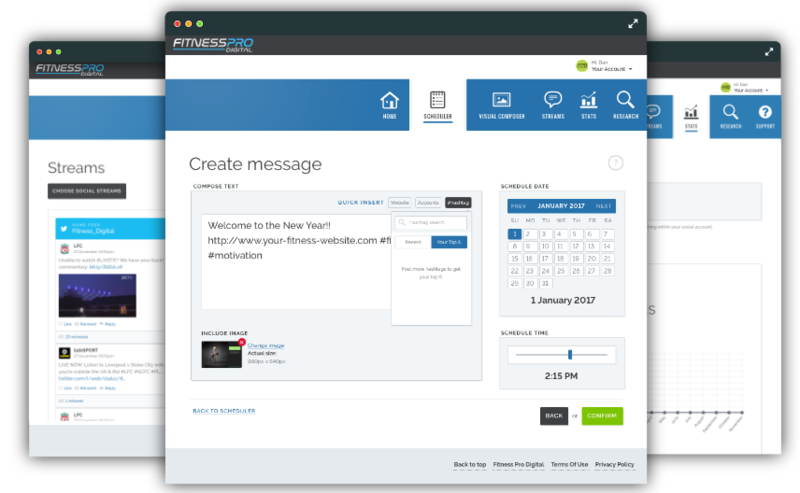 We are proactive fitness digital marketers who offer a comprehensive digital marketing service. Our team has in depth knowledge of the fitness business and digital marketing strategies, all focused on driving you a return on investment. We have the solution to take your business forward, increase traffic and get you more customers. 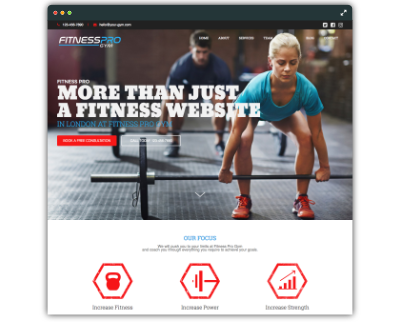 Elegant website design to beautifully showcase your fitness business online. With a focus on conversion with our lead generating layout. Learn how to target your core customers making sure they hear about you and not your competitors across all platforms. 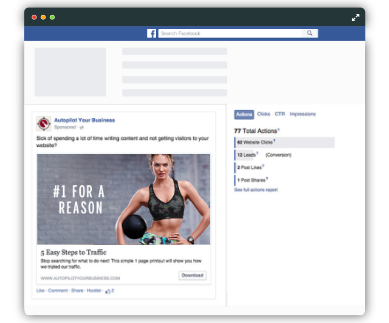 Posting your social-media content across multiple social media accounts gets a whole lot easier with this tool. 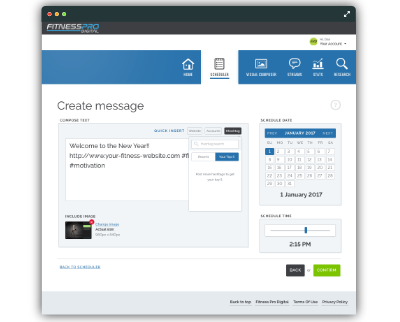 Sign up now to FITNESS FRIDAY and receive our weekly musings with the latest tips and tricks for improving your fitness business online. *we do not share your info with anyone. Simply fill in your details below, then one of our marketing experts will contact you and get you on your way to a successful fitness business.